Google One is the freshly revealed service from Google which replaces the premium storage plans – the ones you have to pay for – which are currently offered under Google Drive. It’s a new service that all those who currently subscribe to Google Drive storage plans will be upgraded to. Note that this pertains to the consumer plans for Google’s cloud storage locker, and G Suite customers – ie business punters – will remain on their existing plans, which won’t change. There might be a business-oriented spin in the pipeline eventually, though. The new Google One offering will sport plans with storage capacities ranging from 100GB to a whopping 30TB, so no matter how many hefty media files you’ve got to store, you’ll find an option to suit. But this isn’t just about simply storing your files in the cloud, as Google has really fleshed out this product above and beyond what was offered by Google Drive in terms of support and extras. So what exactly is different then? For starters, you get more stuff. And everybody likes stuff – especially freebies. We’re talking credits to spend at the Google Play store, or deals on things you find when running a Google search. For example, you might get a discount on a hotel booking found via Google. Essentially, these sort of vouchers or deals are additional elements to make Google One a better overall value proposition. Another major thrust here is improved customer support. Subscribers will be given what Google describes as “one-tap access to experts” should they need help with any Google product or service. And that could be quite an attraction, particularly for the less tech-savvy out there. And finally, Google One will allow a plan to be shared across five family members, with each person getting their own private area for storage. Nifty. So it’s a family-friendly service? Absolutely. Google has a clear pitch here, and by making the new plans appeal to families – and offering easy access to (hopefully good quality) tech support if any problems are encountered – the company is clearly pushing for mainstream appeal. Anything else to be aware of? That’s pretty much everything covered, although it’s worth noting that Google clarified that when folks are moved to the new offering from Google Drive, the fundamental way they use Drive to store files – and to share them – won’t change. We don’t have a firm date yet, sadly. Current subscribers to premium Google Drive plans will automatically be upgraded to Google One in the ‘coming months’, the firm says. So that could be as soon as next month, in theory. The rollout of upgrades will be confined to the US initially, expanding globally down the line. 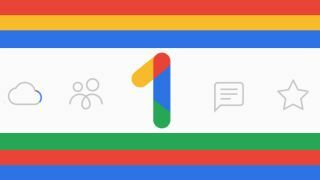 Google One will go live as a service for folks to sign up to – as opposed to being upgraded from Google Drive – later in the year, according to Google. You can stay informed about when Google One is arriving in your region by entering your email here. How much will the service cost? The good news is that subscribing to Google One will be a cheaper affair than current Google Drive plans. The entry-level plan which gives you 100GB of storage will run to $1.99 (about £1.50/AU$2.50) per month. You’ll pay $2.99 (about £2/AU$4) per month for 200GB, and if you want to ramp up to 2TB, that will cost $9.99 (about £7.50/AU$13.50) per month. The further good news is that those who currently have a 1TB plan will be upgraded to 2TB at no extra charge. For those heavier users who want more than 2TB of storage, pricing will remain the same as it is currently with Google Drive. So there won’t be any losers on the cost front, with some folks paying the same, and others getting better value for money – despite the extras on offer. Clearly, Google is gunning to get some serious traction for its cloud storage service when it comes to sales to a mainstream audience.